The Ice Factory is a level for Keen 1 released by Xky Rauh in 1998-01-14 and is the first known custom level to be released on the internet. 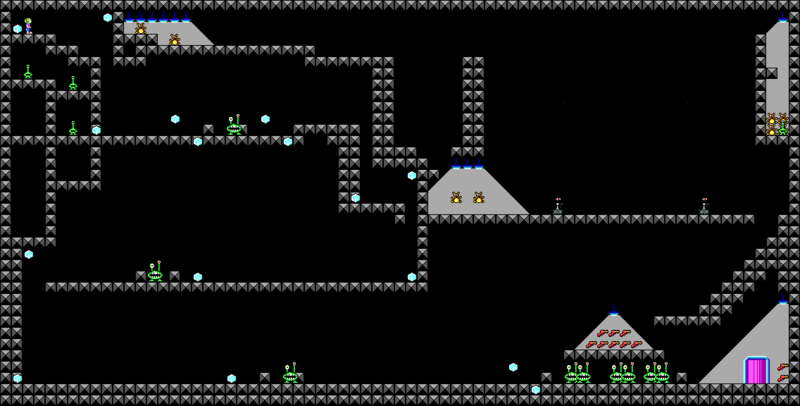 It is also present in the Ice Levels Levelpack and in the KMO Default Levels. Once you step into the first ice shooter Keen will be transported frozen to the exit, but there's still some Teddy Bears worth 40,000 points in the area above the exit, six of them are only reachable if you got the pogo before entering the level.